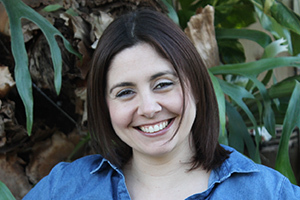 I’m Anna, the voice behind the blog. I’m a full-time marketing and HR executive by day, and crafter/blogger by night. I love making things and getting dirty while renovating. I could live my life happily ever after drinking wine, reading blogs, wasting time on Pinterest, and crafting all day long. I seriously need to figure out how to make a living on that. Anyone hiring a full-time Pinterester? All kidding aside, I am here to share DIY and crafty ideas. I have a crazy professional career that I love, but still manage to get some decent DIYing and crafting in on a regular basis. If I can do it, so can you. 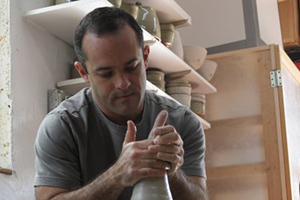 My hubby, Ray, is a full-time college professor and full-time ceramic artist. He likes ceramics, golf, good food, fishing, and me. He encourages my blogging and hoarding of craft supplies so he is a keeper in my book. He is more often than not, shaking his head at one of my crazy project ideas. He has learned that I’m usually right. Good thing too, since we have been together for over 13 years. He’s great with details, works hard, and is usually ready to help me with my next crazy project if I get him at the right moment. I love scruffy mutts and cats, which is how we ended up with 5 pets. This is the pack of creatures we live with – Dylan, Annie, Maggie, Lily, and Lemur. They are all rescues and have full run of the house. They are all naughty little creatures who will likely make appearances while “helping” us with our projects. Don’t be fooled by their adorable faces – they are little terrorists. Dylan, Annie, Lily, Maggie and Lemur. From left to right. Remodeling an original and UGLY 1950s house ourselves. We have had a little help from friends and professionals when needed. Yes, it really was that ugly to warrant the capital UGLY. Don’t believe me? Pirate ship wallpaper, giant litter boxes in the family room and hand painted formica kitchen cabinets. I’m serious. Check out some of the before photos here Before and During if you need photographic evidence. What will you see on this blog? The DIY and crafty adventures of two busy humans, three hairy mutts and two crazy cats living in sunny South Florida. Pictures and stories about this remodeling adventure. Tutorials on all sorts of crafty decorating and remodeling projects. You may even get links and pictures of our favorite things or other random things that catch my eye. Want to know why I blog? Or what I want this blog to be when it grows up? Find that out here and here.